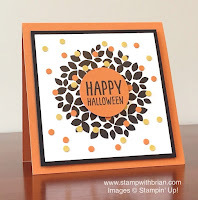 Yippee, yippee, yippee it's time to blog hop with Brian King. Can you tell how excited I am? Brian is one of my all time favourite Stampers. Not only are his designs amazing but he is just the loveliest person who takes so much time out of his day to comment on other blogs and send encouraging messages to stampers all around the world. His falling dots on this card grabbed my attention and I thought the concept would make a nice wedding card. Fiona's notes: The floral stamp from Timeless Love is only a semi-circle. Thanks to my trusty Stamp-a-ma-jig (yes, that's its official name!) I was able to stamp it into a perfect circle. Those little Rhinestones really do the trick! Beautiful. Stunning Fiona. I love the added sparkle, it just sets it off. Great composition Fiona. I've always loved the circle/weath effect and that this can be achieved with single stamps and yay for the Stamp-A-Ma-Jig! This is so pretty and, of course, I love that you've watercoloured it! Beautiful! WOW WOW WOW I adore your case I'm sure Brian will love it! Gorgeous, Fiona! Just gorgeous! The colors are perfect and your random placement of these rhinestones couldn't be better. Love it! 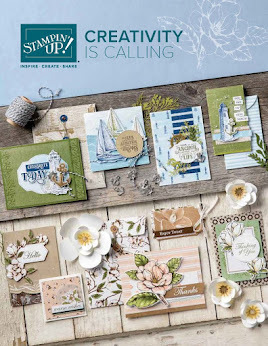 I'm so thrilled to participate in this hop with you and your team! Thanks! A lovely soft card. Love the bling!